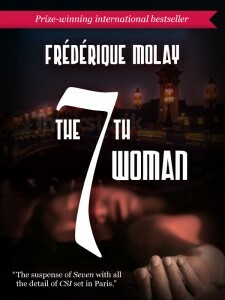 I've just finished two crime novels from France, courtesy of NetGalley: The Ghost Riders of Ordebec, the most recent Adamsberg novel from Fred Vargas (translated by Sian Reynolds) and The 7th Woman, the first (and first translated) crime novel by Frédérique Molay (translated by Anne Trager). The two books are at opposite ends of the spectrum of "romans policiers," though both deal with serial killers (and the authors share a first name, since Vargas's real name is Frédérique Audoin-Rouzeau). The quirkiness of Vargas's writing is well known: of her 13 novels, 8 have been translated into English and have won a number of awards. In each case, her novels begin with a seemingly preposterous event drawn from history or fairy tales or myth (such as a revival of the plague, attacks by werewolves, or, in this case, the appearance of a ghostly army that "seizes" evil-doers and thereby predicts their violent deaths). And the plots wander indirectly toward a conclusion that is more or less drawn from everyday life, commonly having to do with unhappy families and disputes among members of small neighborhoods or towns. Ordebec (the book is called The Furious Army in French, another of the terms by which the ghostly horde is known) includes several plots, ranging from attacks on a pigeon, on a housewife, on an industrialist, and on a disgraceful man in the small Normandy town of Ordebec (this last one being predicted by a young woman's vision of the horde). All the events begin at more or less the same time, and Adamsberg investigates them all, with the help this time of his recently discovered son (see the previous book) and a young firebug suspected of the murder of the industrialist. The text is lively, despite a good deal of repetition) but not in the ordinary vein of crime fiction. Vargas's readers enjoy the company of the motley crew of eccentrics that make up Adamsberg's circle and the circle around the crimes. Vargas's knowledge of archaeology and history makes the mythic aspects of the stories also very real and entertaining (she's an archaeologist among other things). what the book is, in spite of the lurid aspects of the serial killer being chased. Molay, like Vargas, has real-life experience pertinent to her tale (in politics) and the administrative aspects of the book are believable and vivid. But she has a tendency to "tell and not show," and for me none of the characters really had a spark that made them come to life. Crime fiction characters (and plots, for that matter) certainly don't need the more extravagant aspects of Vargas's style to come to life for a reader (this reader, anyway), but when I think of specifically French examples of the genre (by Dominique Manotti or Jean-Patrick Manchette, to cite just 2 examples) there is a liveliness in characterization, writing, and scene setting that I miss in Molay's writing. Molay has certainly amassed a lot of positive blurbs (and evidently sales), but I couldn't really engage with her writing. My loss, probably. 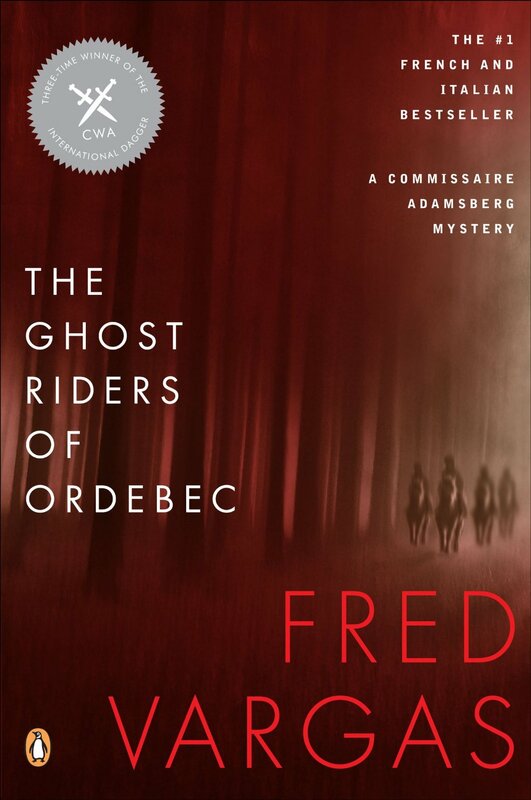 The Ghost Riders of Ordebec is published by Penguin, and The 7th Woman by Le French Book, which seems to be a digital only publishing house, something like Stockholm Text in its first incarnation. I'll definitely be keeping an eye on Le French for future publications, but will have to be convinced taht another book by Molay should join my TBR pile. I didn't read the latter book you review, but I loved The Ghost Riders of Ordebec and all of the creativity, brilliance and quirkiness that characterize Fred Vargas' writing. It's not often that a mystery reader finds total originality but Vargas never disappoints. I'm always glad to go where Commissaire Adamsberg takes me and always enjoy his compatriots. This time equally enjoyable was the family of eccentrics, the man who speaks backwards, his brother who thinks he's made of clay, etc. The story line with Zeck was very interesting. And Normandy was a wonderful setting. I missed this book after the last page was turned, and can't wait for the next one.